This attractive collection of images and words shows an unfolding story of artists and musicians meeting at the University of Utah’s now-famous Dance Department then taking their original ideas into some of the best theaters in Salt Lake City then even further on to Colorado, Wisconsin, and the first International Mime Festival held in the United States during 1974, just about a year after we launched our Dance Company. 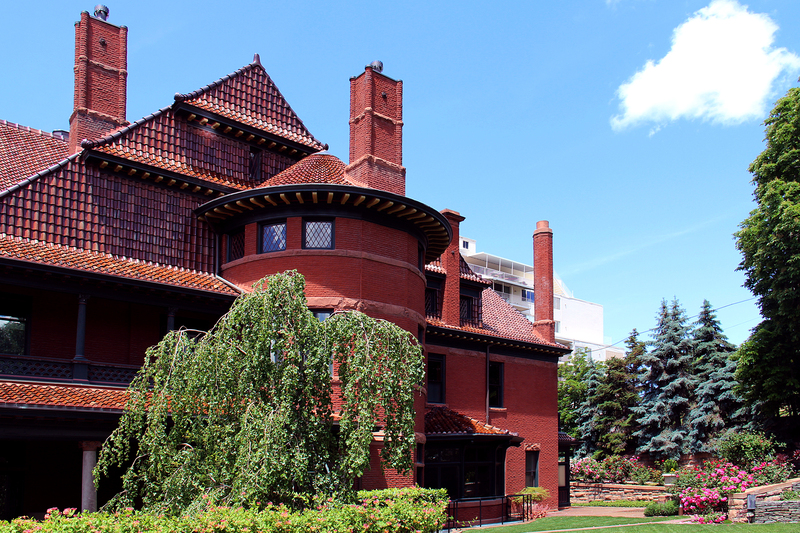 The McCune Mansion in 2015 — our Carriage House studio was on a slope above the Blue Spruce trees. Big Band musician Hal Schaer was our neighbor and friend. The group called themselves Salt Lake Mime Troupe, partly as a “gimmick” that separated them from the other luminous talents on the Dance Scene, but it also allowed them to explore acting and visual comedy. They had their own band and performed original music from the very beginning too, so they knew how to entertain! The rigor of their Ballet and Modern Dance backgrounds made them standouts at the International Mime Festival in 1974, and they were invited to perform in Europe at the first Festival of Fools in 1975, but were faced with the challenge of keeping bodies, souls, and an unconventional company together until they could make it to Europe. The book follows them to California and all the way to New York City where they hopped the Atlantic Ocean and met up with a globe-encircling network of performers who are still active throughout the world — forty years after Amsterdam’s Festival of Fools began its long run over two different decades. All readers of the Great Salt Lake Mime Saga and Amsterdam’s Festival of Fools are encouraged to relive the festivals by visiting the complete colorful and original programs online. Historians and fun-seekers are always welcome, especially prospective book-buyers! Complete graphics and text in a High-Quality Paperback. The 1st Worldwide Edition is available online from Barnes and Noble. The 1st Worldwide Edition is available online from Books A Million too. The 1st Worldwide Edition is also available online from Amazon. Festival of Fools Logos by Gielijn Escher — Images from my own collection, with infinite gratitude to Theatrical Institut Nederlands, Sherif El Safourny, Cor Schlösser, and Fons Strijdonk, Marion Onnekink, Ed Baker, Alan Purves, Jan Jaap Dekker, and Davey Norket. How valuable it always is to preserve the past! And in such intimate detail, too. Mike Evans takes us back only a couple of decades, though, to a time long gone in so many ways. A delightful journey to a time when young people still invented the world around them – without writing a business plan first; when the word ‘revolution’ was still a matter of the soul.